Take ancient history and Viking traditions and mix it with a captivating, modern culture. 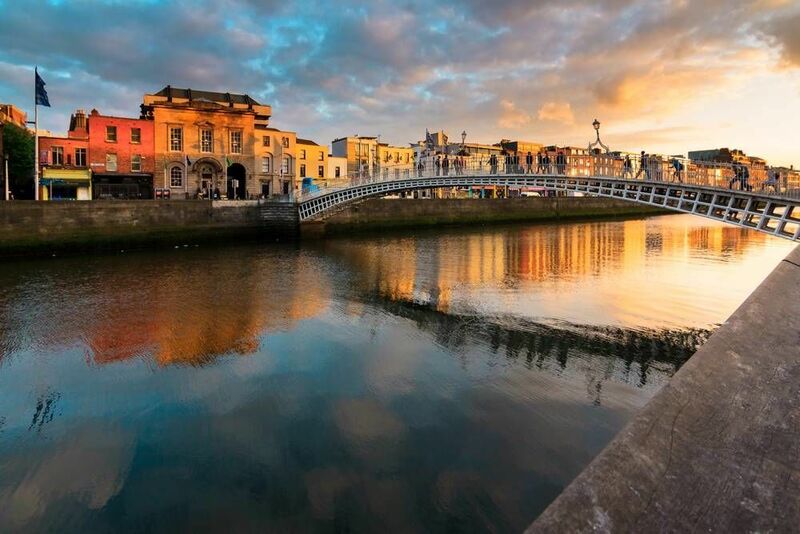 The result is one of the most exciting cities in Ireland - Dublin. It's hard to plan a trip to Europe without thinking of hitting up Dublin at least for a few days. This cosmopolitan city has everything you could imagine in a single spot. Explore the history, art, and architecture during the day. Some of the top attractions include the Kilmainham Gaol, a prison with a million stories of Ireland’s past, the National Museum of Ireland, and the Chester Beatty Library. The beer connoisseur will not leave Dublin without a visit to the Guinness Storehouse. Learn about the origins of this popular beer and stay for a drink in their rooftop bar. During the night, hit up Temple Bar for a drink and let loose in dance floor! With all of this and more to see, you will certainly never get bored in Dublin. What to do in Dublin? Here are 3 perfect plans for you. Free Tour Essential Dublin: What was Dublin like 200 years ago and what´s it like now? Come and discover a city full of fantasy and the Queen of black beer. Free Tour North Dublin: come and discover the unknown areas in the city. We will tell you all about the great famine, the changes brought about by the Act of Union, the wealthiest neighbourhood and much more. Temple Bar Tour, a history of Irish pubs: you cannot afford to leave the city without having visited this area famous for its beer. Come and toast with us! Do you want to find out more? Check out everything we have ready for you. We´ll be ready and waiting for you in Dublin! Are you from Dublin and want to be a tour guide? Please get in touch by submitting your details on this page!